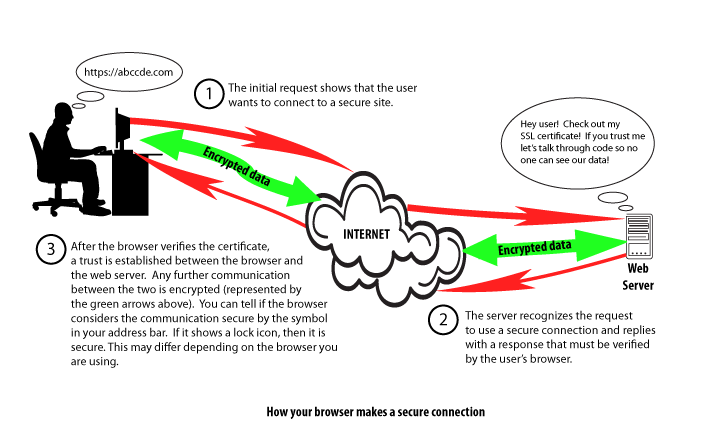 The web server receives your request and then submits a reply that attempts to establish trusted connection between the web browser and the web server - also called the "SSL handshake." 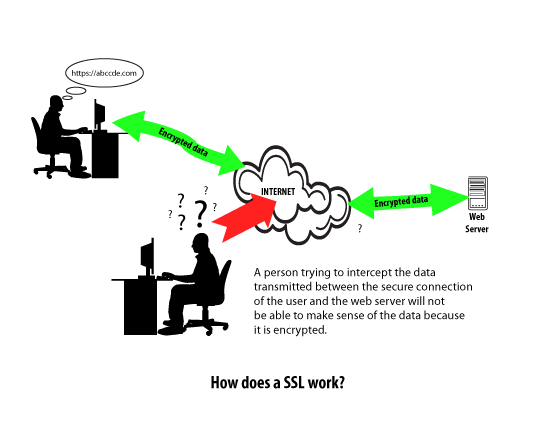 Please read our article on Ordering an SSL if you'd like more information. For further assistance or if you have any more questions please feel free to contact our support department. I have the SSL certificate installed on my domains. How can I prevent people from using http:// instead of https://? This depends on how you built your website. For instance, if you used WordPress, you can follow these instructions. If you manually coded your website, you can use the .htaccess file to force https://. I hope this helps! Thanks for helping me learn more abotu SSL. I actually didn't know that having an SSL certificate can help create an encrypted connection. I'm kind of interested to learn if the level of encryption can be customized or if it's generally the same for anyone that has the certificate. There are differences in the validation of SSL Certificates but not necessarily "security". For instance, some SSLs will validate the actual business is the owner of the domain. The browser really only looks to ensure that your SSL is (at the very least) Domain Control Validated, not expired, and authorized by a valid provider. Have you purchased an SSL? I'd start by doing that. We have a great article on <a href="http://www.inmotionhosting.com/support/website/ssl/how-do-i-obtain-an-ssl-certificate">purchasing SSL certificates in AMP</a>. very basic questions, if I purchase the SSL for a site on a reseller account, the urls all point to the specific website, not to the reseller's account, right? And the website would then be https on all pages? If you purchase ANY SSL, it is generally set to a particular URL (with the exception of WildCard SSLs). So, the SSL certificate only applies to pages that use that particular URL. I hope that helps to explain it. If you have any further questions, please let us know. Simple example to use local paths. ('/images/arrow.jpg') <-- notice the first forward slash. This defines the root of the website. All your links should use the relative path. You could also use two dots, <a href='../images/pluto.jpg'> to go back one directory, but that can get tricky if you move files around. Doesn't need improvement. It is a good introduction leading to the logical next question. My SSL connection makes a mess of my web page because it expects included files like css files and Wordpress plugins to begin with https, not http. Short of duplicating dozens of files and changing their names so they begin with https I'm not sure what to do. When preparing for SSL, you do not have to change file names, but rather ensure the paths are not absolute. For example, if you call an image called 'dog.jpg', then it should just be called with a relative path. This means in your code, you just have to place the part of the path from where the calling file is. If the image is in a folder named images, and your page is in the primary folder, then you only have to place 'images/dog.jpg' as opposed to 'http://example.com/images/dog/jpg'. In the latter, you can see it has the absolute path, including the protocol. Even so, the files should still work, no matter the protocol used. The consequence of having a full path with non SSL protocol when using SSL is just that the green lock will not appear. It will give a warning that some items are being called via normal protocol. This explanation may not be as thorough as the article I wrote on why the lock is not displaying. Check that out if you like as it is a bit clearer. i am always able to find the information I need to make a informed decisions.